We’ve partnered up with Luxaflex Blinds – New Zealand’s premium blind company to give you some of the most innovative and best window covering options available. 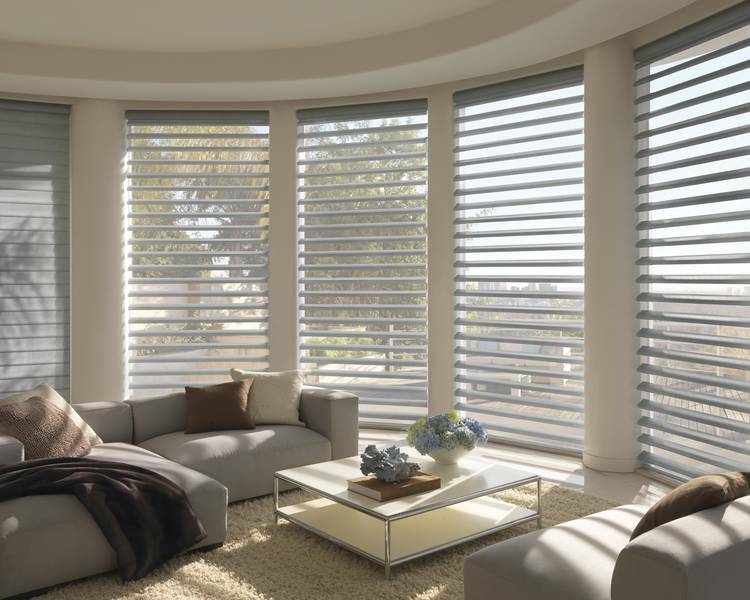 There are plenty of things to consider when choosing blinds depending on the space you are looking at. How much natural light does the room receive? What colour are the walls and furniture? Who will be using the space? How much privacy is required? Another very important aspect is warmth. We have various blinds that can work to keep room temperatures up and heating costs down. Simply ask us about our Luxaflex Duette Blinds – they’re like pink batts for your windows! We also have blinds specifically designed to protect the interior of a room from UV rays – ideal for extra protection for your carpets of furniture. Ask us about our sunscreen blinds which add to both the style and protection fo your home. Remember, you can book a free measure and consultation with us. Our team at The Flooring Room in Tauranga or Palmerston North can visit you at your home at a time that suits or if you prefer, simply pop in to our showroom for a chat.